NAIROBI (Reuters) – Billions of dollars’ worth of gold is being smuggled out of Africa every year through the United Arab Emirates in the Middle East – a gateway to markets in Europe, the United States and beyond – a Reuters analysis has found. Customs data shows that the UAE imported $15.1 billion worth of gold from Africa in 2016, more than any other country and up from $1.3 billion in 2006. The total weight was 446 tonnes, in varying degrees of purity – up from 67 tonnes in 2006. Much of the gold was not recorded in the exports of African states. Five trade economists interviewed by Reuters said this indicates large amounts of gold are leaving Africa with no taxes being paid to the states that produce them. Previous reports and studies have highlighted the black-market trade in gold mined by people, including children, who have no ties to big business, and dig or pan for it with little official oversight. No-one can put an exact figure on the total value that is leaving Africa. But the Reuters analysis gives an estimate of the scale. Reuters assessed the volume of the illicit trade by comparing total imports into the UAE with the exports declared by African states. Industrial mining firms in Africa told Reuters they did not send their gold to the UAE – indicating that its gold imports from Africa come from other, informal sources. Informal methods of gold production, known in the industry as “artisanal” or small-scale mining, are growing globally. They have provided a livelihood to millions of Africans and help some make more money than they could dream of from traditional trades. But the methods leak chemicals into rocks, soil and rivers. And African governments such as Ghana, Tanzania and Zambia complain that gold is now being illegally produced and smuggled out of their countries on a vast scale, sometimes by criminal operations, and often at a high human and environmental cost. Artisanal mining began as small-time ventures. But the “romantic” era of individual mining has given way to “large-scale and dangerous” operations run by foreign-controlled criminal syndicates, Ghana’s President Nana Akufo-Addo told a mining conference in February. Ghana is Africa’s second-largest gold producer. Not everyone in the chain is breaking the law. Miners, some of them working legally, typically sell the gold to middlemen. The middlemen either fly the gold out directly or trade it across Africa’s porous borders, obscuring its origins before couriers carry it out of the continent, often in hand luggage. For example, Democratic Republic of Congo (DRC) is a major gold producer but one whose official exports amount to a fraction of its estimated production: Most is smuggled into neighboring Uganda and Rwanda. “It is of course worrisome for us but we have very little leverage to stop it,” said Thierry Boliki, director of the CEEC, the Congolese government body that is meant to register, value and tax high-value minerals like gold. The customs data provided by governments to Comtrade, a United Nations database, shows the UAE has been a prime destination for gold from many African states for some years. In 2015, China – the world’s biggest gold consumer – imported more gold from Africa than the UAE. But during 2016, the latest year for which data is available, the UAE imported almost double the value taken by China. With African gold imports worth $8.5 billion that year, China came a distant second. Switzerland, the world’s gold refining hub, came third with $7.5 billion worth. Most of the gold is traded in Dubai, home to the UAE’s gold industry. The UAE reported gold imports from 46 African countries for 2016. Of those countries, 25 did not provide Comtrade with data on their gold exports to the UAE. But the UAE said it had imported a total of $7.4 billion worth of gold from them. In addition, the UAE imported much more gold from most of the other 21 countries than those countries said they had exported. In all, it said it imported gold worth $3.9 billion – about 67 tonnes – more than those countries said they sent out. The Dubai Customs Authority referred Reuters’ queries to the UAE foreign ministry, which did not respond. The UAE government media office referred Reuters to the UAE federal customs authority, which also did not respond. Not all the discrepancies in the data analyzed by Reuters necessarily point to African-mined gold being smuggled out through the UAE. Small differences could result from shipping costs and taxes being declared differently, a time-lag between a cargo leaving and arriving, or simply mistakes. And gold analysts say some of the trade, especially from Egypt and Libya, could include gold that has been recycled. But in 11 cases, the per-kilo value that the UAE declared importing is significantly higher than that recorded by the exporting country. This, said Leonce Ndikumana, an economist who has studied capital flows in Africa, is a “classic case of export under-invoicing” to reduce taxes. Matthew Salomon, an American economist who has researched the use of trade statistics to identify illicit financial flows, said the issue deserves scrutiny. “Persistent discrepancies in the trade of particular goods and between particular countries … can identify significant risks of illicit activity,” he said. Over the past decade, high demand for gold has made it attractive for informal miners to use digging equipment and toxic chemicals to boost the yield. Contaminated water is returned to rivers, slowly poisoning the people who need the water to live. 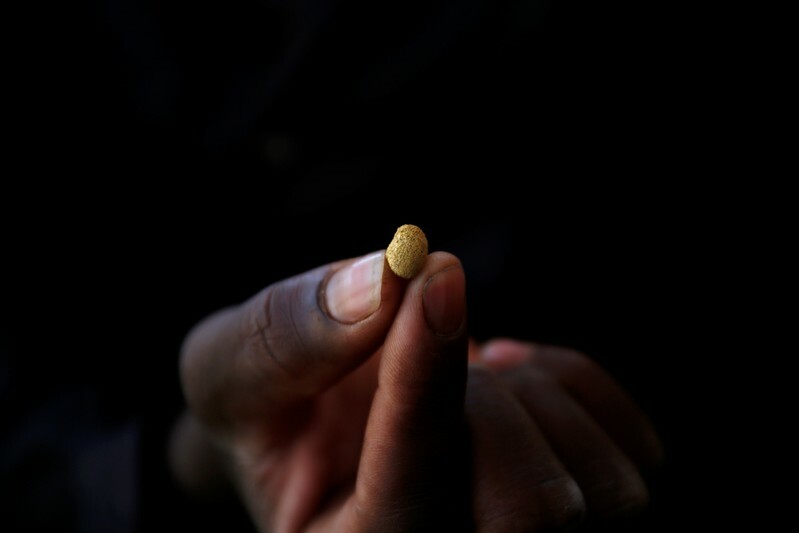 Small-scale miners have long used mercury – easy to buy at around $10 for a thumb-sized vial – to extract flecks of gold from ore, before sluicing it away. Mercury’s toxic effects include damage to kidneys, heart, liver, spleen and lungs, and neurological disorders, such as tremors and muscle weakness. Cyanide and nitric acid are also being used in the process, according to researchers and miners in Ghana. Industrial mining companies have also been responsible for pollution, ranging from cyanide spills to respiratory problems linked to dust produced by mining operations. But almost a dozen states including DRC, Uganda, Chad, Niger, Ghana, Tanzania, Zimbabwe, Malawi, Burkina Faso, Mali and Sudan have complained in the past year about the harms of unauthorized mining. Burkina Faso has banned small-scale mining in some areas where al Qaeda-linked Islamists are active, and earlier this month Nigeria’s government suspended mining in the restive northwestern state of Zamfara, saying intelligence reports established what it called “a strong and glaring nexus” between the activities of armed bandits and illicit miners. Strong prices have fueled the boom. Today, gold trades at over $40,000 per kilo, which is below a peak from 2012 but still four times the level of two decades ago. Western investors want gold so they can diversify their portfolios; India and China want it for jewelry. But most Western companies – and the banks that finance them – avoid handling non-industrial African gold directly. They are unwilling to risk using metal that may have been mined to fund conflict or that may have involved human rights abuses in, for instance, DRC or Sudan. Various Uganda-based traders have been sanctioned for handling gold smuggled out of DRC. In other states, including the UAE, these concerns have been less of a problem. Over the last decade, gold from Africa has become increasingly important for Dubai. From 2006 to 2016, the share of African gold in UAE’s reported gold imports increased from 18 percent to nearly 50 percent, Comtrade data showed. The UAE’s main commodity marketplace, the Dubai Multi-Commodities Centre (DMCC), calls itself on its website “your gateway to global trade.” Trading in gold accounts for nearly one-fifth of UAE’s GDP. However, no big industrial companies reached by Reuters – including AngloGold Ashanti, Sibanye-Stillwater and Gold Fields – say they send gold there. Reuters contacted 23 mining companies with African operations, the smallest of which produced around 2.5 tonnes in 2018: 21 of them said they did not send metal to Dubai for refining, the other two did not respond. While the big South African miners have local refining capacity, the main reason others gave is that no UAE refineries are accredited by the London Bullion Market Association (LBMA), the standard-setter for the industry in Western markets. The LBMA is “not comfortable dealing with the region” because of concerns about weaknesses in customs, cash transactions and hand-carried gold, its chief technical officer Neil Harby told Reuters. Investigators and people in the gold industry say the ease with which smugglers can carry gold in their hand-luggage on planes leaving Africa helps gold flow out unrecorded. And limited regulation in UAE means informally mined gold can be legally imported, tax-free. Gold can be imported to Dubai with little documentation, African traders told Reuters. A DMCC spokesman said it has a robust regulatory framework that includes strict responsible sourcing rules. These are aligned with the international benchmark for responsible sourcing laid out by the Organisation for Economic Cooperation and Development (OECD). A “very limited” number of refineries accept gold that has been imported as hand luggage, Dutta said, but gave no figures. Some African miners are swapping their pickaxes and shovels for diggers and crushers – increasing production volumes exponentially. Regulation remains scant, and accidents are frequent. In one week this February, three accidents at illegal mining operations in Zimbabwe, Guinea and Liberia claimed the lives of more than 100 people. Often, miners must surrender a cut of their output, as commission, to the people who control a pit, let out the equipment, or buy and sell the gold. NGOs such as Global Witness and Human Rights Watch have documented child labor, corruption and links to conflict at some of these mines. At one mine in Zimbabwe visited by Reuters, people said they had to hand over some of their find before they would even be allowed out of the pit. Reuters presented its analysis to 14 African governments. Of them, five said it reflected an existing concern about gold being smuggled out of their countries that they are trying to address. One said they did not think gold smuggling was a problem for them. The rest declined to comment or did not respond. Governments across Africa are trying to work out how to manage a sector that, whatever its risks, provides a livelihood for many of their citizens, and which could be harnessed as a source of revenues. Some, including Ivory Coast, are taking gradual steps to regulate their informal mining operations. Ghana and Zambia have sent security forces into mining areas to halt operations so miners can be registered and regulations put in place. Ghana, concerned that a rush of mainly Chinese-led ventures is harming the environment, has arrested hundreds of Chinese miners and expelled thousands in the past six years. At the end of last month, Ghana temporarily banned the import of excavator equipment to try to stem a surge in illegal mining using heavy machinery. In Sudan, one of the continent’s biggest producers, the government has unveiled a $3 billion plan for private banks to work with the central bank to buy gold from small-scale miners, offering prices that would make it less attractive to sell on the black market. A Tanzanian parliamentary report estimated that 90 percent of annual production of informally mined gold is smuggled out of the country: The government wants the central bank to buy this up. In March, President John Magufuli launched a plan to establish hubs where the trade would be formalized by offering access to financing and regulated markets. In Burkina Faso, Oumarou Idani, minister of mines, believes his country is leaking gold to UAE on a massive scale. Of the 9.5 tonnes of gold the government estimates informal miners dig up each year, just 200 to 400 kg are declared to the authorities, he said. Much of the gold is smuggled from landlocked Burkina Faso to its Atlantic coast neighbor Togo, according to the minister. In Togo, virtually no taxes are imposed on gold. Togo’s director of mining development and controls, Nestor Kossi Adjehoun, said informal mining is “an area that we have not properly figured out.” For now, he said, Togo saw no reason to suspect gold was being smuggled through the country. 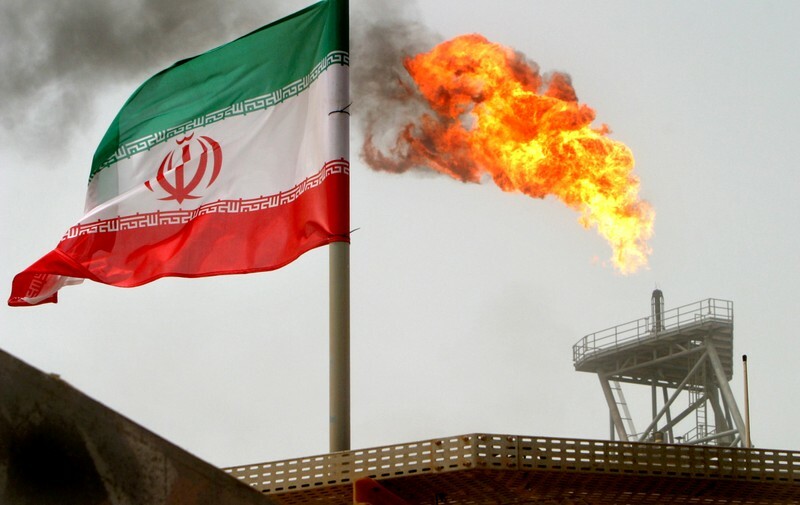 SINGAPORE (Reuters) – Asian buyers of Iranian crude are well placed to overcome the end of U.S. sanctions waivers as they have demonstrated they can live without it and as global producers have the capacity to make up a shortfall, according to analysts and trade data. The United States on Monday demanded buyers of Iranian oil stop purchases by May or face sanctions, ending six months of waivers which allowed Iran’s eight biggest buyers, most of them in Asia, to continue importing limited volumes. The announcement came amid an already tight market as the Organization of the Petroleum Exporting Countries (OPEC) and other major producers, including Russia, have been curtailing supply since January to prop up prices. Global benchmark Brent crude futures rose to as high as $74.69 a barrel on Tuesday, the most this year. The surging crude will mean higher fuel costs for Asian economies. Iran’s four-biggest crude buyers are China, India, Japan and South Korea. Despite the cost surge, supply shortfalls are unlikely. The end of the waivers should cut Iranian exports by 900,000 barrels per day (bpd), Goldman Sachs said late on Monday. That is more than made up by “immediately available” spare capacity from producers including Saudi Arabia, the United Arab Emirates (UAE) and Russia of about 2 million bpd, which could rise to 2.5 million bpd next year. In a statement on the end of the waivers, U.S. President Donald Trump said the United States, Saudi Arabia, and the UAE would ensure oil markets are fully supplied. “The United States have more than proved that they are able to fill any voids left by sanctions,” said Matt Stanley, a broker with Starfuels in Dubai. Iran’s four main Asian buyers ramped up imports in March and April in anticipation of the end of the waivers. But before that, all the countries already showed they could dial down their purchases. Before the sanctions, Iran was OPEC’s fourth-largest producer at almost 3 million bpd, but April 2019 exports have shrunk to around 1 million bpd, according to ship tracking and analyst data in Refinitiv. Iran’s biggest oil buyers are China and India. China on Monday criticized the U.S. decision, but trade data shows it can cope with lower Iranian imports. Ship tracking data in Refinitiv showed China’s crude imports from Iran averaging 500,000 bpd since the start of 2019, down from a 2018 peak of 800,000 bpd, and only 5 percent of its overall crude imports. Dai Jiaquan, head of the Research Institute of China National Petroleum Corporation (CNPC), said on Tuesday that other suppliers could fill the gaps, particularly U.S. crude. He noted that estimated U.S. crude output increases this year are between 1.6 million and 1.7 million bpd, that alone would outpace expected global oil demand growth of 1.2 million to 1.3 million bpd. Adding spare capacity from OPEC means “there will not be short supply in the market,” said Dai. India has also reduced Iranian purchases, averaging 300,000 bpd this year, around 6 percent of overall imports, down from a peak of 750,000 bpd in mid-2018, Refinitiv data showed. India’s Oil Minister Dharmendra Pradhan said on Tuesday his country could access supplies from other producers to compensate for Iranian losses. Close U.S. ally Japan halted all Iranian crude imports between November 2018 and January 2019, Refinitiv data showed, and imports since then have averaged below 200,000 bpd, equivalent to 5 percent of demand. The tighter U.S. sanctions should have only a limited impact on Japan, Hiroshige Seko, the trade and industry minister, said on Tuesday. South Korea also cut all of its Iranian oil imports between August and December 2018. This year, Korea has averaged around 300,000 bpd of imports, mostly of condensate, an ultra-light oil used by many of its refiners to make petrochemicals. DUBAI (Reuters) – Saudi Arabia’s foreign minister on Tuesday welcomed a U.S. decision to end all Iran sanction waivers by May, saying it was a necessary step to halt Tehran’s “destabilizing” policy in the region. “Saudi Arabia fully supports this step taken by the United States as it is necessary to force the Iranian regime to end its policy of destabilizing stability and its support and sponsorship of terrorism around the world,” Ibrahim al-Assaf said in comments carried on state media. 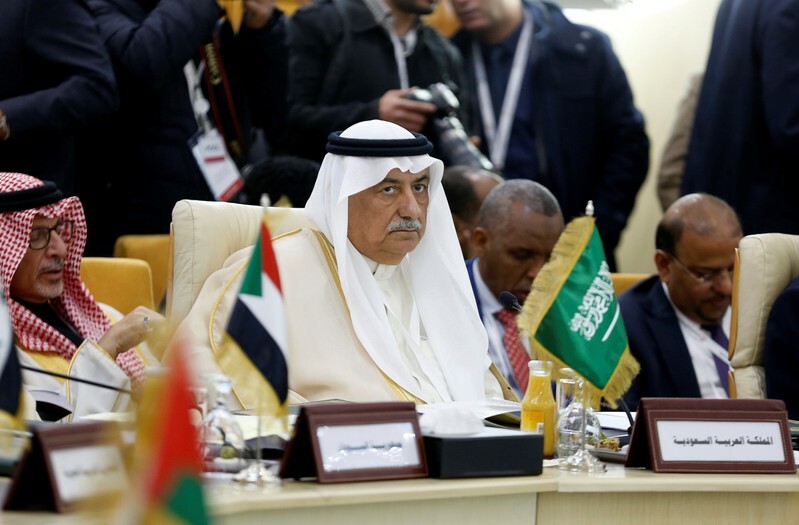 He reiterated a statement issued by the kingdom’s energy minister on Monday that the world’s largest oil exporter would coordinate with other oil producers to ensure an adequate crude supply and balanced markets after Washington’s announcement. DUBAI (Reuters) – Yemen’s Houthi forces have missiles that could be fired at Riyadh, Dubai and Abu Dhabi should violence escalate in the main Yemeni port city of Hodeidah, where a fragile ceasefire is now in place, the leader of the Houthi movement said on Monday. Yemen’s four-year war pits the Iran-aligned Houthis against the internationally recognized government of President Abd-Rabbu Mansour Hadi, which is backed by a Saudi-led coalition of Yemeni and Arab forces, which include the United Arab Emirates. “Our missiles are capable of reaching Riyadh and beyond Riyadh, to Dubai and Abu Dhabi,” Abdul Malik al-Houthi told Houthi-run Masirah TV. Houthi forces regularly fire missiles into southern Saudi Arabia and occasionally aim for targets such as the capital Riyadh or facilities of state oil company Saudi Aramco. Most missiles have been intercepted by the Saudi military. Hodeidah port is the entry point for most of Yemen’s humanitarian aid and commercial imports. It is the current focal point of U.N. efforts to implement a December deal between warring parties. The United Nations is trying to get both sides to pull troops out of Hodeidah but the process has stalled. Both sides blame the other for lack of progress. Although a ceasefire largely holds in Hodeidah, violence continues elsewhere and has escalated in recent weeks. Plagued by decades of instability, Yemen’s latest conflict began in late 2014 when Houthi forces drove Hadi’s government out of the capital Sanaa. The Saudi-backed alliance intervened in March 2015 to restore Hadi’s government. 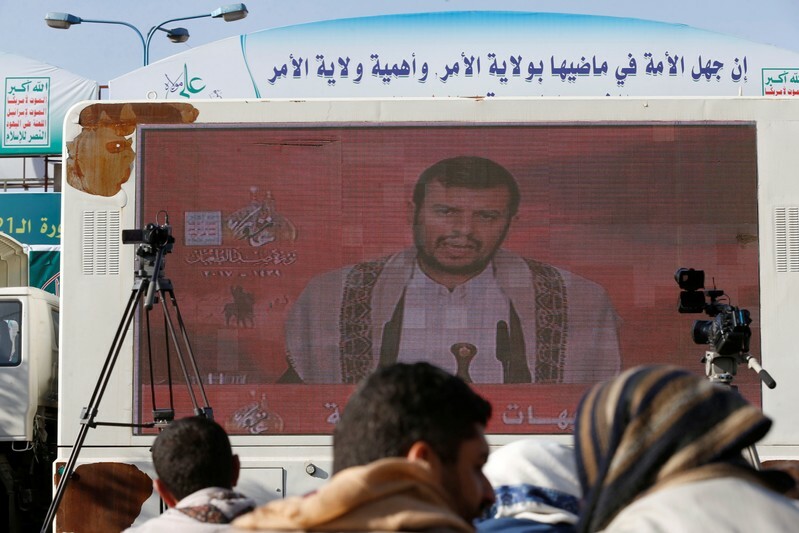 The Houthis, who say their revolution is against corruption, control Sanaa and most population centers. Explainer: What next for Sudan after Bashir’s fall? KHARTOUM/CAIRO (Reuters) – Sudan’s Omar al-Bashir has been ousted after three decades in power following months of mass protests. The military has announced a transitional period of up to two years followed by elections, but demonstrators are pushing for a quick handover of power to civilians. On April 6, protesters stepped up the pressure with a sit-in outside the military headquarters in Khartoum. Riot police and intelligence services tried to clear the area, but the army shielded them before announcing Bashir’s overthrow on April 11. Despite Bashir’s close ties to the military’s top leadership, mid- and lower-ranking officers more connected to society sympathized with the protesters’ demands, said Hamid Eltigani, a Sudanese professor of public policy at the American University in Cairo. The appointment of defense minister and vice-president Awad Ibn Auf as head of the Transitional Military Council fueled widespread anger among protesters because of his close association with Bashir. Lieutenant General Abdel Fattah al-Burhan replaced Ibn Auf as head of the military council. Burhan was the third most senior general in the Sudanese military and is little known publicly. As chief of Sudan’s ground forces he oversaw Sudanese troops fighting in the Saudi-led Yemen war and has close ties to senior Gulf military officials. Burhan’s deputy is Mohamed Hamdan Dagalo, known by his nickname Hemedti, who heads Sudan’s Rapid Support Forces. The RSF is a paramilitary grouping that grew out of the Janjaweed militias that fought in Darfur and has provided troops to fight in Yemen. A Sudanese source close to Sudan’s military leadership said the United Arab Emirates, Saudi Arabia and Egypt had a role in planning “the removal of Bashir and General Ibn Auf and Salah Gosh” as part of a strategy of “weakening the power of the Islamists in power in Sudan”. Bashir came to power in an Islamist-backed coup. He belonged to the Islamic Movement, Sudan’s equivalent of the Muslim Brotherhood, and imposed Sharia law. The UAE, a leading member of the Saudi-led coalition fighting in Yemen, was quick to welcome Burhan’s appointment and said it would look to accelerate aid to Sudan. Shortly after Burhan’s nomination, Saudi Arabia said it would provide wheat, fuel and medicine to Sudan. 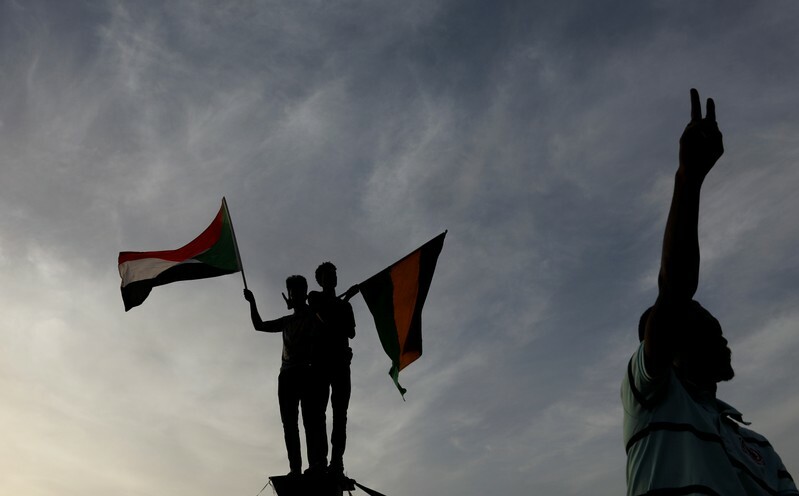 The UAE and Saudi, which supported the toppling of the Muslim Brotherhood’s Mohamed Mursi in Egypt and have worked to counter Islamists linked to the Brotherhood across the region, are following the same goal in Sudan, said the Sudanese source. The influence of their regional rivals Qatar and Turkey, which both had ties to Bashir, will be limited, said the Sudanese military officer. “It was a tug of war, and right now UAE and Saudi won,” he said. Hemedti has received of Western diplomatic envoys, several of whom say they have pressed him to ensure a rapid transition to civilian rule. The British ambassador said the meeting was “not to endorse or confer legitimacy”. The Dutch envoy said the meeting was held at Hemedti’s invitation. Burhan has promised a civilian government after consultations with the opposition, and announced an easing of emergency measures and the release of political detainees. But there has been little word from the military on protesters’ demands for a civilian presence in the ruling council, and for members of Bashir’s entourage – some of whom face international sanctions and charges – to be held to account. Bashir had the strongest links across different, overlapping branches of the security forces, which could start competing with each other now he’s gone. While the RSF and the NISS are linked to Saudi Arabia and the UAE, Islamists within Sudan’s Popular Defence Forces have connections to Qatar, said Alex de Waal, Executive Director of the World Peace Foundation at Tufts University. When Ibn Auf announced Bashir’s overthrow he said the former president had been detained. Sources told Reuters he was being held at the time under heavy guard at his residence. Some have speculated that he could follow the example of Tunisia’s former leader Zine al-Abidine Ben Ali and seek refuge in Saudi Arabia. 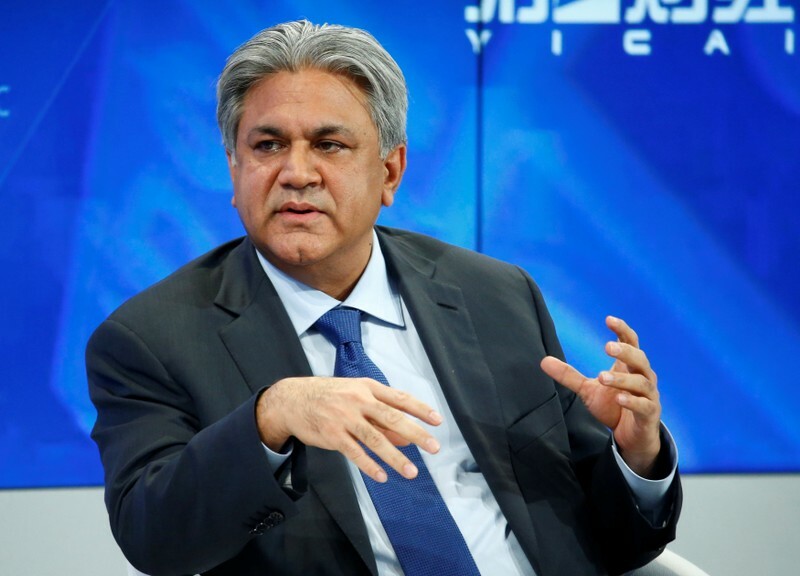 The Dubai regulator added that it was aware of the arrest of two former executives of the Abraaj group, former chief executive, Arif Naqvi, and managing partner, Mustafa Abdel-Wadood, on U.S. fraud charges. “The DFSA is a regulatory body which oversees the conduct of firms under its jurisdiction in the Dubai International Financial Centre (DIFC). 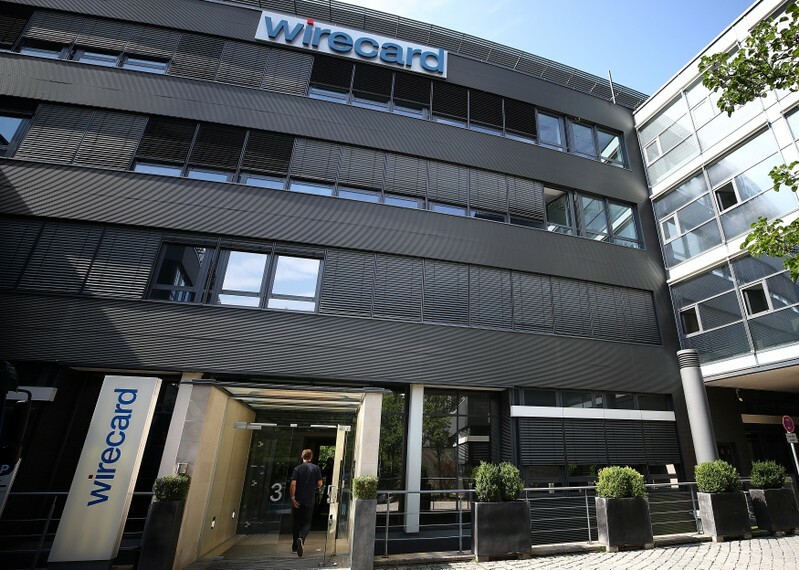 Where appropriate, it has the power to impose administrative sanctions, but does not have a criminal jurisdiction, therefore it does not lay charges or make arrests,” the statement said. DUBAI (Reuters) – Iran’s Supreme Leader Ayatollah Ali Khamenei has approved drawing up to $2 billion from the country’s sovereign wealth fund for relief and reconstruction after devastating floods, state media reported on Monday. On Sunday, Interior Minister Abdolreza Rahmani Fazli said the weeks of heavy rain across the country had caused an estimated $2.5 billion in damage to roads, bridges, homes and farmland. Iran’s worst floods in 70 years had killed at least 76 people and forced more than 220,000 into emergency shelters, state media cited ministers as telling lawmakers. 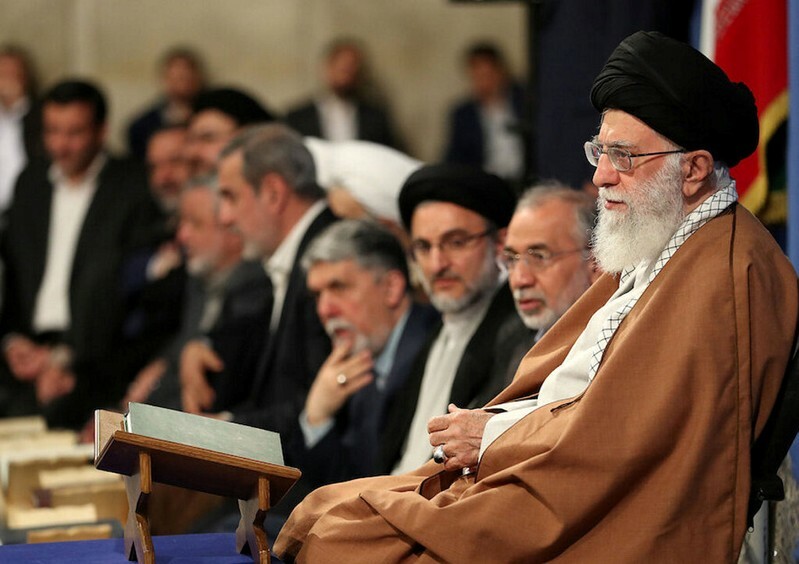 “Using the National Development Fund is authorized if no other sources are available,” Ayatollah Ali Khamenei said in a letter to President Hassan Rouhani read out on Monday on state television. It had launched an international emergency appeal seeking 5.1 million Swiss francs ($5.1 million) to expand support by Iran’s Red Crescent to an additional 30,000 families – equivalent to about 150,000 people. Khamenei’s letter did give an amount but Morteza Shahidzadeh, head of the sovereign wealth fund, said earlier that Rouhani had asked to withdraw $2 billion and Khamenei had in principle agreed. Iran’s government has said it will pay compensation to all those who have incurred losses, especially farmers, but the state budget is already stretched as U.S. sanctions on its energy and banking sectors have halved oil exports and restricted access to some revenues abroad. It was just the second title for 29-year-old Paire, who last lifted an ATP Tour trophy four years ago when he defeated Tommy Robredo at the 2015 Swedish Open. Sunday’s final also marked sweet revenge for Paire, who had beaten Andujar in three prior ATP meetings but lost to the 33-year-old just two weeks ago in the final of the ATP Challenger Tour event in Marbella, Spain. Paire cruised to victory in one hour and six minutes vs. the defending champ, winning 89 percent of first-serve points and not conceding a break all afternoon. Chile’s Christian Garin secured Chile’s first ATP Tour title in 10 years, defeating Norway’s Casper Ruud 7-6 (4), 4-6, 6-3 in Houston. It was Garin’s second win over 20-year-old Ruud, who was playing in his first career final, after previously beating the Norwegian last month in the semifinals of the Brazil Open. Tied at 2-2 in the final set, Ruud failed to capitalize on three break-point chances. Garin broke in the next game, then serving for the title at 5-3, fired an ace to set up championship point. Garin, 22, had a tough path to the final: He went three sets in his opening match against Uruguay’s Pablo Cuevas, saved five match points to oust No. 2 seed Jeremy Chardy in the second, and defeated last year’s runner-up American Sam Querrey — a finalist the previous four years — in the semifinals. No. 9 seed Borna Coric of Croatia beat Poland’s Hubert Hurkacz 6-4, 5-7, 7-5 in a sloppy three-setter that featured more than 100 unforced errors on both sides in first-round action in Monte Carlo, Monaco. The contest took two hours and 52 minutes — though more than five hours passed between the first and last points because of rain — with Borna notching four breaks and saving 4 of 7 break points he faced. Other Round 1 winners were Switzerland’s Stan Wawrinka, the 2014 Monte Carlo champion, who beat Frenchman Lucas Pouille 7-5, 6-3 in 1:15; Bulgaria’s Grigor Dimitrov, who ousted Italy’s Matteo Berrettini 7-5, 6-4 in 1:53; and Argentina’s Guido Pella, who was pushed to three sets by Serbia’s Laslo Djere before winning 6-7 (2), 6-2, 6-4. In qualifying action, six players advanced to the Round of 64: Russian Andrey Rublev, Slovenia’s Aljaz Bedene, Australian Alexei Popyrin and the Argentinian trio of Juan Ignacio Londero, Federico Delbonis and Guido Andreozzi. Frenchman Benoit Paire overcame a sluggish start to oust countryman and wild card Jo-Wilfried Tsonga 2-6, 6-4, 6-3 on Saturday, claiming a spot in the Grand Prix Hassan II final at Marrakesh, Morocco. Tsonga took the first set in 33 minutes and went up a break in the third set, but Paire responded by winning the final five games of the deciding set, including three on Tsonga’s serve. The last came on Paire’s fifth match point, after he squandered triple-match point and another chance in deuce. 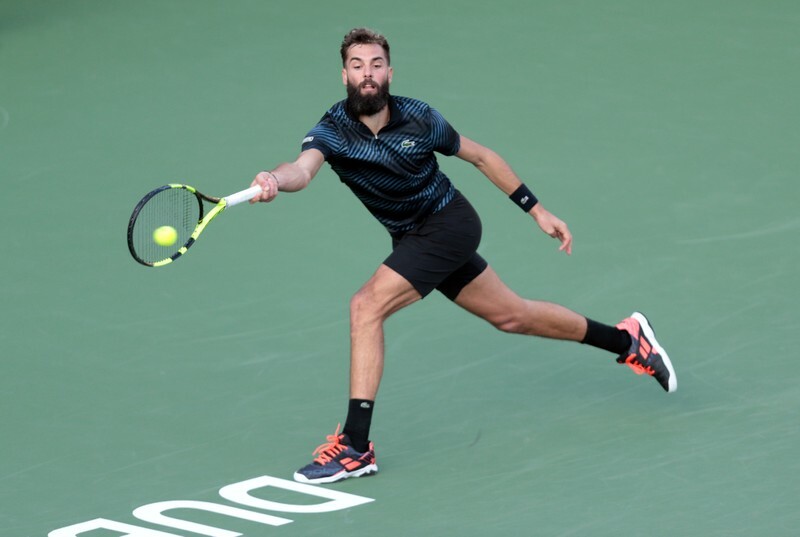 In the final, Paire will face Spaniard Pablo Andujar, a three-time champion of the event who downed fourth-seeded Frenchman Gilles Simon 6-1, 6-1 earlier Saturday. Andujar, who needed just 74 minutes to clinch victory, won the event last year after claiming back-to-back titles in 2011 and 2012, when it was held in Casablanca, Morocco. Paire has won all three ATP meetings between the two, the most recent of which came in 2013. However, just two weeks ago Andujar beat Paire for the Marbella ATP Challenger Tour title. Eighth-seeded American Sam Querrey was unable to continue a streak of four straight years with an American in the final, falling 7-6 (2), 6-2 to Chile’s Christian Garin in Houston. Garin broke Querrey, who reached the event’s final in 2010 and 2015, in the match’s first game and took four points on Querrey’s serve in the tiebreaker. In the second set, he converted his only two break-point opportunities, including one to end the match. Garin’s opponent will be Norway’s Casper Ruud, who downed Colombian qualifier Daniel Elahi Galan 7-5, 6-2 to reach his first career final. Elahi Galan had beaten Australian seventh seed Jordan Thompson 6-1, 4-6, 6-4 earlier Saturday in the quarterfinals. Garin, 22, and Ruud, 20, have met once before in ATP play, with Garin winning 6-4, 6-4 in the semifinals at Sao Paulo in early March.